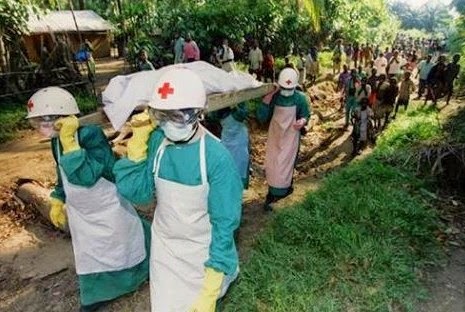 While Nigerians are still sad over the death of Stella Adadevoh, another doctor, who secretly treated a diplomat who had contact with the Liberian-American Patrick Sawyer, has died of Ebola in Nigeria. The doctor, who has yet to be named, died on Friday. His wife has taken ill and has been quarantined in Port Harcourt. Interestingly, the diplomat the doctor treated is still alive. The diplomat, who was part of the team who met Patrick Sawyer in Lagos, flew to Port Harcourt, the capital of Rivers State for treatment, evading government surveillance for the disease. The late doctor then took him to a hotel for treatment. Consequently, 70 people have been quarantined. The doctor’s hospital, Good Heart Hospital in Rivers State, has been shut down. The unnamed hotel, where the secret treatment took place, has also been shut down. The Minister of health and Rivers State government are expected to make a statement on the incident.